With a close race for the runner-ups, this was one of the Time to Vote Tuesday polls that I didn’t quite want to close! Thanks to all who voted! 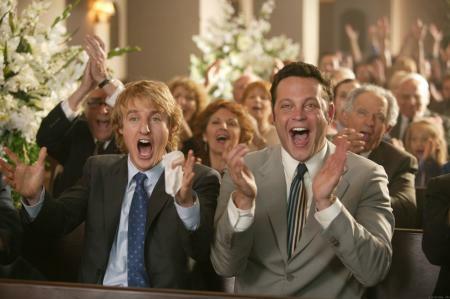 This week’s edition of ‘TVT’ entitled “June’s gone…weddings done!” asks you about favorite weddings in movies. June is traditionally the month of the most weddings. As a matter of fact, my best friend just got married a couple of weeks ago. It is that fantastic event that prompted this edition’s poll. Weddings…the time for two ones to become one, the time for mothers to cry and perhaps all the singles in the crowd too! They also make for usually a fun climax, plot point or ending in a movie. Do you have another wedding you like more? Share in the comments section!